When we first begin to write, many of us question our ability to write and become a published writer. This is normal, because we compare ourselves to other successful authors. In the beginning of doing anything, most of us are not very good. We have to learn. The key aspects to making your way through the process to become a published writer are listed here. 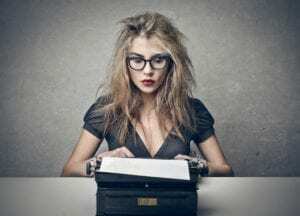 Passion: Are you passionate about writing? Do you seem to write journals, articles, books, constantly, even though you may not be a professional writer? 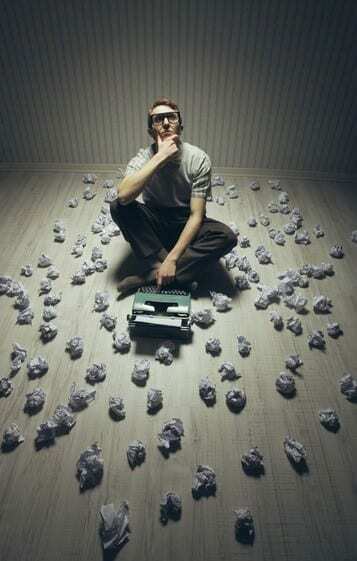 If you are passionate about writing, this is step one on the path to being a published writer. Practice: When learning anything, practice makes perfect. How do you get practice? Start a journal, a blog, or find a blog for which you would like to be a guest writer. Bloggers are looking for fresh, new, content, and most would love to tap into guest writers. To sign up for your own free blog, go to http://www.wordpress.com or http://www.blogger.com. These are free blog formats. Perfecting: Get connected with other writers by joining writer’s groups or taking courses. Learn, share, and grow by being with others who also love to write. Writer’s groups prompt writers to share writings and give critiques. Do not take these too seriously. If they offer ideas you like, take them and go. If not, just discard them. Patience: Becoming a published writer can be a lifelong task. Your writing will get better with time and practice. Be willing to write for the pure passion of it, and do not get attached to making money. Sometimes taking a job as a part-time writer or working for a magazine or publisher can be helpful. I took a job with a publishing company for a few years; and the experience was invaluable. If you love to write, and have a dream to be a published writer, keep going. Do not let anyone say that you are not a good writer. Just keep practicing, learning, and perfecting. I started writing in journals in my teens, and it was not until my fifties that I wrote and published my first book! Louisa Hay of Hay House Publishing published her first books in her sixties. Sometimes your passion takes a life time to come to fruition; but totally worth it! With an inspired idea, writing flows easily. Your concept, story, or purpose of your piece comes alive. Writing becomes not a matter of discipline; but a matter of inspiration. Flowing from deep inside, sometimes you feel you can’t capture it fast enough. Tuning into the inspiration is half the battle. 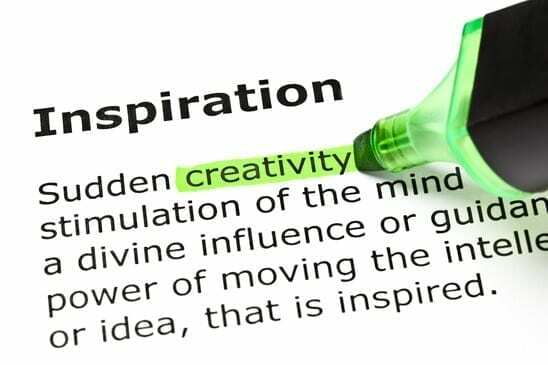 Creative people sometimes refer to this mysterious flow of inspiration as the muse. In Greek Mythology, the Muses are the goddesses of the inspiration of literature, science, and art in Greek mythology. I believe the muse is simply your connection with a higher power, God, The Universe, or Source. Writers tap into a greater intelligence or their own genius when in the right frame of mind. I have listed a few tips how myself and other writers that I know get themselves into the inspired writing state. Writers who are looking for inspiration often find it by getting away from normal daily life. Sometimes a walk in the park among nature can give just the inspiration you need. My entire career launched with a three-month writing sabbatical to the Caribbean 6 years ago. It was true love and I have not stopped writing since then! Continuous nurturing of the inner self through contemplation, reading, meditation, prayer, and personal development. Writers are people with something to say, something to share. In order to have something exciting to share, writers must have a relationship with their soul. Great writing initiates from the soul. Research and study of your subject. If you are working on a novel or a fiction piece, finding out as much detail as possible regarding the geographic area, timeline, or the cultural norms of the characters, will help your story come alive. If you are creating a non-fiction piece, research on you subject matter will provide further inspiration. Reading what others have written on the subject brings up new questions regarding what has not already been covered on the subject. You will want a fresh new approach than what has been done, and once you find that direction, inspiration will be forthcoming. Procrastination is a complex subject, but is particularly troubling with writing procrastination. Who hasn’t procrastinated writing a term paper? Or who hasn’t procrastinated to the point of having to stay up all night? Perfectionism: This is one classic cause of writing procrastination. In the mind’s eye we imagine the writing piece to be unrealistically grandiose. Deep down, however, we know the writing will only be “perfect” after several rewrites, edits, and proofreading. Knowing that it will not be “perfect” right off, we chose not to do it at all. The solution is to break up your writing assignments into smaller sections, and rough drafts, such as Rough Draft One: Chapter One, Section One. Write emotionally and passionately, knowing later you will come back for Rough Draft Two: Chapter One, Section One, and so on. Name your files as such. Remove perfectionism pressure by doing small pieces on a weekly or daily basis. Deadlines: Believe it or not, deadlines can cause procrastination. Deadlines are necessary in writing else we would never see a daily newspaper! However, if you are writing on your own, deadlines can be deadly. Depending on your personality, deadlines may be too much pressure. If you tend to rebel at the thought of time pressure, go easy, and approach writing in a gentler way. Perhaps joining a writing group will inspire you to write. You can share your writing without the pressure of writing for an artificial deadline. Inspiration: If you are not inspired, no words will spring from your pen, or keyboard. So stop trying to write and instead get inspired. How do you get inspired? This is different for different writers. If you find that as you sit down to write, you have nothing to say, use your writing time to get inspired. Go for a walk in a beautiful setting, or take a hot bubble bath! Put on your favorite music, sit and meditate for a while. Plugging into the muse is key in getting your flow going. Share your tricks for overcoming procrastination in the comments below. Stereotypical Writer Burning Midnight Oil! To borrow from the Nike People, this New Year has inspired me to Just Write it! And that is exactly what I am doing. I have promised myself and my subscribers to share my writing secrets! The reality is, I have not made it a priority to write a weekly blog! So the Just Write it! Series is my New Year’s Resolution. If your New Year’s resolution is to write or to write more, the Just Write It! Series is especially for you. I have designed the Just Write it! Series to help new (and not-so-new) writers break through false impressions, procrastination, writer’s block, life’s distractions, personal insecurities, and perfectionism. I have faced these obstacles and still managed to write and publish 14 books in the past 6 years! In my role as writing and publishing coach I have also guided new writers to publish some 92 books during that time. 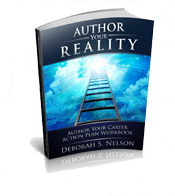 I share my tricks, secrets, and fresh approaches for you to become a successful writer and published author in the Just Write it! Series. Feel free to make comments or questions below for further help and support. Newer writers often envision a false impression of what a real writer looks like and acts like. We have all seen the stereotypical reporter on television and movies, which has influenced us with a certain idea about how to write. Maybe you imagine that a real writer sits down at a typewriter (now a laptop) and writes for 12 hours straight (or even all night). In my experience, this is the exception and not the rule. What you are most likely seeing is a reporter, who has done weeks or months of research and needs to finish the article the night before the deadline. People who work for periodicals, television, or online magazines are always up against deadlines and must write articles last-minute. These are writers whose day job is writing–but bear in mind not all writers write for a living. True enough, many times I was super-inspired to write and resultingly spent multiple 12-hour days doing so. Luckily, I was on a writing sabbatical which supported that particular writing madness. But for the most part writing occurs between the cracks of life, my writing included. A friend of mine who was a best-selling author for one of her 14 published books, wrote as she describes it, “between the cracks of life.” For her, this meant an hour before work, half an hour a few days a week at lunch, and maybe several hours on the weekend, 3 or 4 pages at a time. Once you capture a vision of the book or article you are writing, and put together a rough outline (or not); writing 1-3 pages at a time is a very easy task. As a writer, adopt your own style. Do not let a writer stereotype keep you from writing because your writing work style does not fit into that writing fantasy. If you truly love to write, you will find your own style, that matches your personal idiosyncracies, scheduling, and work demands. 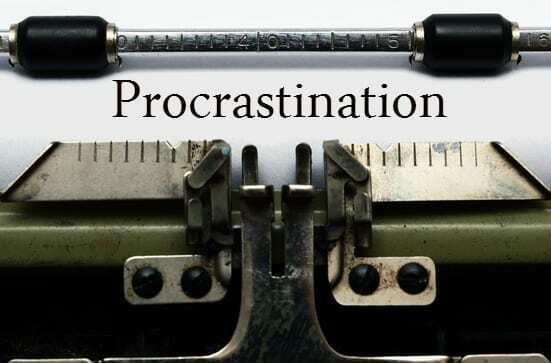 Next week, we’ll be talking about how to overcome procrastination in writing. Are You Writing from Your Heart or from Your Head? 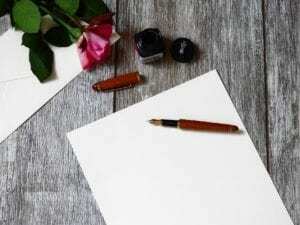 Writing from Your Heart or Head, which is better? When teaching, I speak of two writing methods–The Art of Writing, which is writing from your heart; and The Craft of Writing, which is writing from your head. To be a good writer, you only need one method–writing from your heart. I urge clients, writers, and students to spill their passion. First pour your heart out. Once you tell you story on paper (or computer) it is easy to clean it up. We can hire editors, copy editors, and proofreaders to smooth the rough edges. 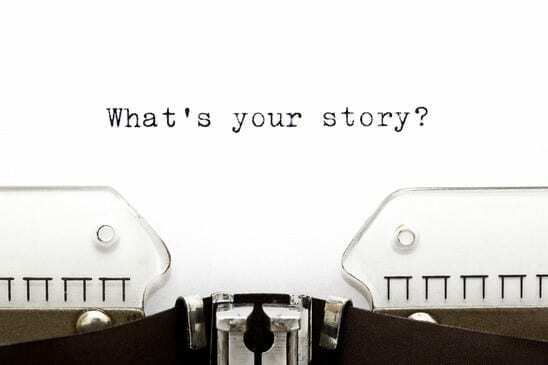 Most importantly, tell your story authentically with passion. 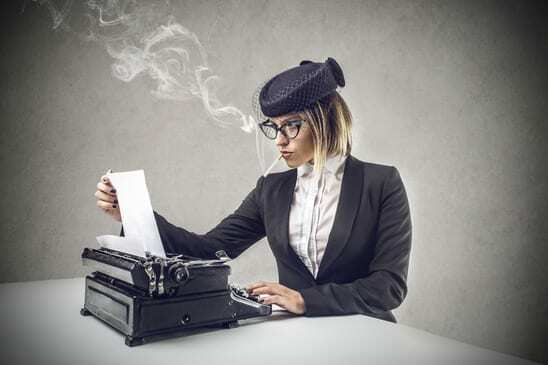 Most of my clients and students are afraid their writing might be “bad writing.” This fear is a culturally shared fear dating back hundreds of years when publishing houses held the key to the printing press. They defined what was “good” writing and “bad” writing, often based on self-perpetuating factors. Today we enjoy print on demand which allows us to print just one book affordably. We can publish our own works now. We need not be scholars, or celebrities, or part of the elite to be published. Democracy has come to publishing. We do not need anyone’s permission write and to publish. Is My Writing Good or Bad Writing? No system to filter good writing from bad writing is yet in place on this new playing field of self-publishing. The system inside traditional publishing houses is based as much on the book’s monetization potential as writing quality. I have seen this in action. Yet, we are all likely to agree a difference between good and bad writing is a reality. After working in both traditional publishing and self-publishing, I realize the real distinction between good writing and bad writing boils down to writing from your heart. Too often writers are writing for the attention of being published. They are like people who talk to hear themselves talk. Similarly these writers crave seeing their name in print. 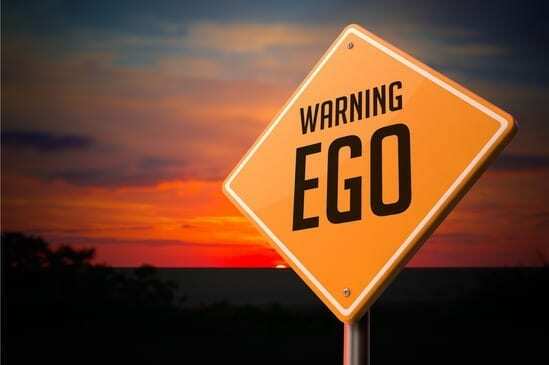 When you write self-consciously like this, it is not writing from your heart, this is writing from your ego. To coax the best writing from your heart, drop the idea of appearances. Transcend them memory of your high school or college English teacher. 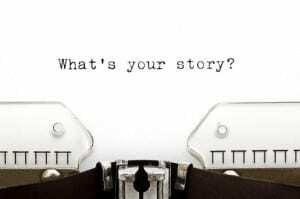 You are telling a story, or teaching something to your readers to help them. You are entertaining, teaching, or providing valuable information. Feeling the connection between what you share and who share you it with, will automatically create good writing. Writing from your heart will cover up a multitude of writing sins when you engage readers with your passion. Next time you write, forget about grammar, spelling, vocabulary. Let it rip! Writing from your heart breaks the spell of writer’s block, and eliminates the quest for writing discipline. 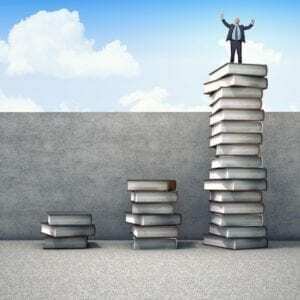 Writing Discipline or Inspiration–What Works Best? Need Writing Discipline or is it Something Else? As a writer, and in the role of writing coach, I am often asked, “Do you have certain place and time that you make yourself sit down and write?” My answer is NO. It is rare that I make myself write or struggle with “writer’s block”. But how can you quickly be in that I love to write state? Many writers face issues with feeling like they need to make themselves write. Often, when they do create a writing discipline, such as writing at a certain time for a specified time. The pressure is often too much and they struggle to get something written. Next they struggle with ensuing guilt for not getting anything done. Writing Discipline or Inspired Writing? This method makes take a little more time upfront, but will ultimately have you passionately searching for 15 minutes segments to write. This is what I call inspired writing. I am an inspired writer, and I never “make” myself sit down and write. In fact, I often need to make myself stop to take a stretch, food, or bathroom break! My writing projects seem never-ending and my biggest challenge is completing one project, so I can tackle next. How can you do this? You must prepare and nurture the creative soil of your heart and soul. The best writing comes from deep inside, and if you have not prepared the depths, you might find yourself sitting at a desk with all the nice tools with nothing to say. 1. Never force yourself to write against your will unless you are in a job and have a deadline and your paycheck depends on it. 2. Nurture your creative spirit with daily meditation, walks, prayer, and quiet time. Breathe in and breathe out. Contemplation is what feeds your writing. 3. Make a book cover first. When writing a book, formulate your concept, find a compelling image, and use Createspace Cover Creator to make a free book cover. 4. When an idea comes to you, grab a laptop, a journal, or a paper and pencil and write it down immediately. These inspirations will fuel inspired writing. 5. Banish guilt. Replace feelings of guilt with opportunities to inspire. Guilt is a negative motivator, and the best writing comes from inspiration. Guilt can work, but for a limited time. 6. Fire the Critic: Get the real passion and real story on paper/in computer. Later, hire an editor or proofreader, or even do that yourself; but keep the writing critic away from your writing process. The critic stifles free flowing creativity. Are you ready to get started? Are you ready to take a leap of faith and make that commitment to publish your book? Then sign an Intent to Publish Agreement with yourself. Once you do that, or if even you aren’t quite ready … continue reading this article to get going; as this website also covers all the frequently asked self-publishing questions and more! How do you eat an elephant? (one bite at a time, they say). But if anyone were to ask this question about writing a book, I would answer, “One tip at a time!” This article includes a 2-part video series to help you write your book, and give you the top ten tips for writing a book. But first, If you have passion for writing, the first thing to do is clear a workspace and get started! This article is part one of my top ten tips for writing a book. The “Once Upon a Book” Series, Episode 7 below, also covers these Tips for Writing a Book. The Art & the Craft. Real writing and real authors are not overly concerned about spelling, grammar, and punctuation, because that is a distraction. Trained editors and proofreaders clean up writer’s work. Spend your passionate energy on the story you have to tell. Passion is what will drive your writing to the end. Buy a journal, or blog to tell your story. Let it flow. Do not be self-conscious or judge yourself. You can polish later. Simply write as you speak to get your story to flow. Flow your words onto a journal, or onto your blog, or word processing program. Your focus as a writer is to write with passion and tell the story, or teach your wisdom. Be present. Bring the present into your writing to make exciting and intriguing for you and the reader. Avoid phrases such as “he was,” “there was,” “it was.” If you bring the present into your writing it will automatically be fresh and enticing. For practice in this, write about something that happened today. Practice, practice, practice. Just like anything, if you want to get good at something you need to practice. Get in the game by practicing daily or weekly. You’ll find that what once took hours to do, only takes a few minutes now. Blogging is a good way to improve your writing as the Internet provides an audience, which always brings your art and craft to a higher level. Let go of perfect. The reason deadlines have become a standard in the field of publishing is to get it done. Perfectionism is one the biggest traps in writing and publishing. Understand that all major publications do contain printing errors. Get a good editor and proofreader, and then go with it. Realize that it is more important to tell your story than it is to hoard your story. Becoming an Author-Get a Raise! Look no further. This step-by-step self-publishing journal grants you the time and know-how. Learn to how to self publish your book by actually doing it! This is DIY (do it yourself) publishing at its best! 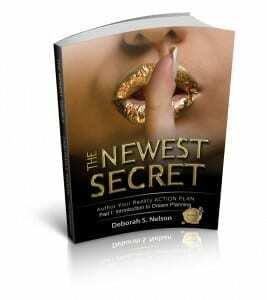 Become a published author, and friends, family, and peers see you in a new light! 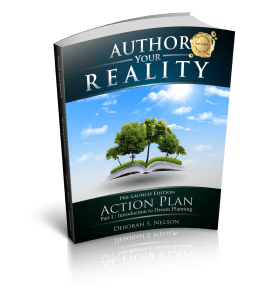 This learn-by-doing system propels both aspiring and seasoned authors through the digital publishing process. You won’t even need your completed manuscript to start! Have you ever thought of writing and publishing a book? This article covers the steps to writing a book and how to take the opportunity to become a published author. With digital publishing and print on demand you no longer need must be a scholar or a celebrity to write a book and get it published. 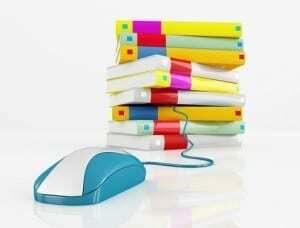 Publishing Solo can help you to make your dream to publish a printed book a reality. But before you publish the first step is to write the book. Now, that may seem like a daunting task, but it really is easier than you think. Take the steps to writing a book we suggest in these videos and you’ll be a published author more quickly that you may think. As a publishing coach, I have worked with many first-time authors and most writers get stuck at a certain point. It’s not your fault. 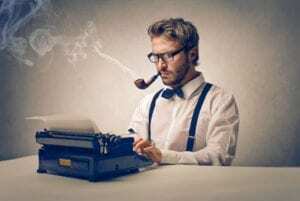 It does not mean that you are not a good writer. However, that “stuck point” usually keeps your manuscript sitting for years. Most often that “stuck point” is something simple that you don’t know or understand. Once writers get the answers they need, they often take the rest of the steps to writing a book very quickly and are soon published. The problem is getting stuck on that one step and not knowing how to move forward. We have produced 2 videos that cover the steps to writing a book, among other videos that teach how to self-publish a book. You’ll find that information is powerful in the process of learning how to write and publish a book. 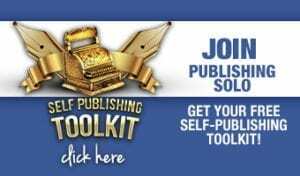 Please accept my personal invitation to join Publishing SOLO (free for now) and receive the self-publishing toolkit. The Art & Craft. The Craft. Learn or hire the craft. Speak your story into a recorder, transcribe to a Word document and hand to a graphic artist to design your book. The Art. Tell Your Story. Let it Flow. Forget about spelling, punctuation, and grammar. Enjoy the process, and write consistently. Be present when writing. Envision a story from your day to write about. Play the Game. Anything you want to learn requires practice, practice, practice. Dump Perfectionism. Finish the Race. Your mission is to enjoy telling the story. Editors, proofreaders, designers polish your work. Recommended Reading: Learn How to publish a Book Yourself, Becoming an Author- Get a Raise! Write’s Block? No Way! Learn My Five Secret Tips for Writing a Book Fast! Have you always wanted to write a book but never had the time? You’ll find these five tips on writing a book helpful to launch you into this long-awaited dream. 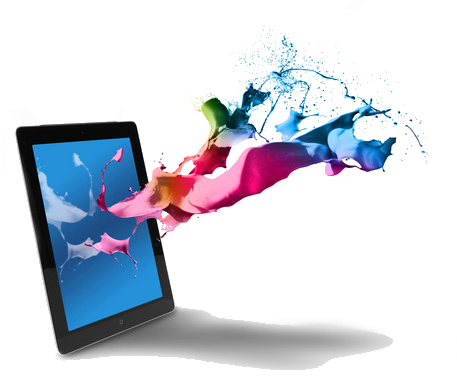 Are you also interested in finding out more about digital publishing which makes publishing your book more possible? You have come to the right place for tips on writing a book, and publishing it as well! You are really going to love this! Now that we are entering the age of digital publishing, you might want to revisit the dream to learn how to write a book. If you have a passion to write, you are already on the path to success. Watch the video which covers 5 tips on writing a book to understand these tips on how to write and publish a book more clearly. It is not necessary to know the craft of writing since you can hire out the editing, proofreading, and graphics arts to those who are experts in the area. Later, we will teach you how to hire and manage self publishing services o make it more affordable. First thing, though is you need to write the book. This article provides easy tips on writing a book. If have already written your book and want to learn how to publish a book yourself, see other my other articles on this site. The Craft. The craft can be learned or hired. Simply speak your story into a recorder, transcribe to a Word document, and hand to a graphic artist to design your book. The Art. Tell Your Story. To learn to write, buy a journal and write or blog online consistently. Let it Flow. Forget about spelling, punctuation grammar. Just Write. To learn how to write, use a journal or blog online consistently. Be present when writing. Envision a story from your day to write about. Play the Game. Anything you want to learn requires practice. Dump Perfection ism. Finish the Race. Your mission is to enjoy telling the story. 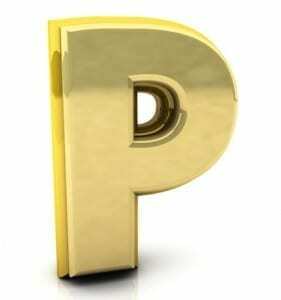 Editors, proofreaders, and designers will polish your work. Publish your book. Self-publishing is a great option if you want to skip over the rejection process. Stay tuned for Tips on Writing a book–Tips Six through Ten. We will share both the video and the article. Join Publishing SOLO and receive a free self-publishing toolkit. Just sign up at the top right of our site. So you think you want to write a book? That’s great! If you are passionate about writing, with digital publishing, now you can learn how to write and publish a book! I’ve written and self-published 14 books now, and its a blast! I love being a published author! In this article I am going to share the basic steps of how to write and publish a book in chronological order. You may think that the first step is the write the book, but it’s not. The first step in is make a decision and an agreement with the very core of your being that you are going to write and publish a book. This can be a long journey, with a high learning curve. However, the most exciting thing going on now, is that we have digital publishing available to us, and that makes it possible for ordinary people to become published authors in 3-6 months…and that’s for a printed book on Amazon. If you going to write an e-book, that can be much faster. 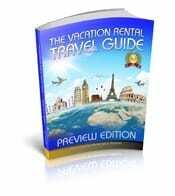 But this article will outline the basic steps of how to write and publish a book–a printed book. Print on demand is the most significant development in the publishing industry except maybe for the printing press! What is print on demand? Simplified, it means that once you prepare your digital book file for printing, it is printed one book at a time as ordered online! This means, that no inventory is required, and no expensive start-up costs are required to learn how to write and publish a book. With traditional publishing, a print run of at least 10,000 (depending on the type of book project) will be required to make the book cost-effective. And that required a sales and marketing commitment. With print on demand if you want to print a book about a niche subject, you wont’ need to sell 10,000 or more books for your book project to be financially viable. With print on demand the book is printed and shipped within days of the purchase and all the royalties go to the author, with a small piece going to the cost of printing. Print on demand makes it entirely affordable for determined ordinary people to learn how to write and publish a book. When I coach clients who want to learn how to write and publish a book, the first thing I ask them to do is to sign the Intent to Publish Agreement. Writing and publishing a book is can be a long, intense, and time-consuming process. It requires your commitment. When a traditional publisher accepts a manuscript for publication, the first thing they do is create a contract. 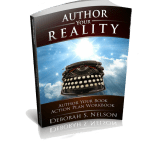 The Intent to Publish Agreement is a contract with yourself to self-publish your book. Feel free to download the Intent to Publish Agreement from our site, it is free. Tell the Story: Focus on telling your story. Everything is a story, sometimes there are stories within stories. Let it Flow: Just write. Write, Write, Write! When writing, do not worry about spelling, punctuation, neatness. Write Like You Speak: Be present when writing and envision a story from your day you want to share with yourself. Practice the Game: If you want to learn how to write and publish a book you simply need to practice writing first. Dump Perfectionism: In publishing, editors, copy editors, designers, and proof readers at the perfectionists. They clean up your work. Tell the story, teach the method, entertain your readers. Forget about being perfect. Once you have written your manuscript, the next step in learning how to write and publish a book, is to prepare the parts of the book. You’ll need the front matter which includes a preface, introduction, acknowledgments, dedication, title page, copyright page, as well as table of contents. The body of the book will contain your manuscript plus headers, illustrations or photos, dividers and graphic elements such as quotes, chapter headers, and text boxes. Much of these are optional. I always recommend that a self-published author create an ad for their other products or services such as coaching or consulting, workshops or speaking. Additionally the back matter will include end notes, notes, About the Author, index, and various other options depending on your project. 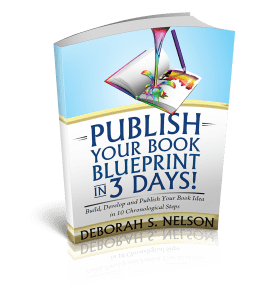 I have written an article on the parts of a book, and a book entitled the Publish Your Book Blueprint which will help you sort through all those details and options. Look no further. This potent learn-by-doing guide grants you the time and know-how. Learn to how to self-publish a book by doing it! Once you become a published author friends, family, and peers see you in a whole new light! 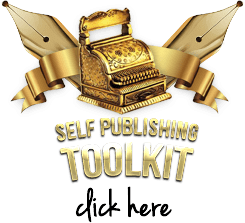 This unique new system guides and propels both aspiring and seasoned authors step-by-step through the digital publishing process. You won’t even need your completed manuscript to get started! The Brave New World DIY Publishing!